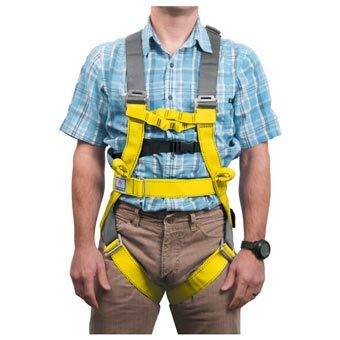 Designed to meet the stringent needs of ropes courses and other high angle applications, this is all you will ever need in a harness. Includes front and rear attachment points, daisy chain sternum strap and a great fit. Individually sized to fit a wide range of people and color coded by size to help selection. Approx. sizing as follows: XS 70-90 lbs, SM 90-160 lbs, M/L 150-280 lbs, XL 280+ lbs.